The researchers are just as excited—after all, their analysis was statistically significant, which is the only metric journal editors and peer reviewers care about. That’s right. In the first page of their manuscript, the researchers suggest that their finding implies a common genetic cause behind depression, schizophrenia, bipolar disorder, ADHD, and even autism. This is big news! If true, it validates the biomedical view of mental “illness” and suggests that future medical treatments could “cure” these conditions. However, that grand conclusion is not supported by the data. In fact, an incredibly small proportion of people diagnosed with a psychiatric disorder actually have this “CNV at DOCK8” genetic pattern—99.5% of people with a diagnosis didn’t have it. And some of the “healthy” people did. The column “Number of Case CNVs” shows how many people who had the mental health diagnosis also had the genetic pattern being studied. 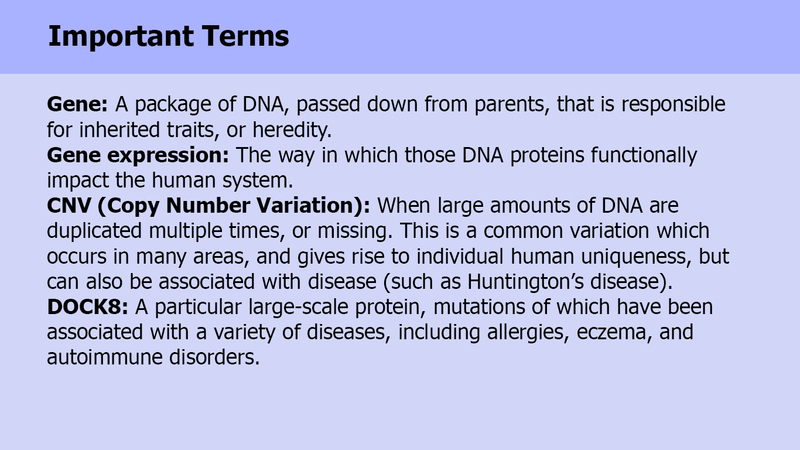 The column “Number of Control CNVs” shows how many people without a diagnosis had the genetic pattern. Of course, you have to look elsewhere in the article to find out how many total people were included in the study. There were 7,849 total people with a mental health diagnosis, and 10,799 “healthy” people in the control group. If you add up the number of people under the “Number of Case CNVs,” you find that 32 people had both a mental health diagnosis and had the “CNV at DOCK8” genetic pattern. Thirty-two people out of 7,849. 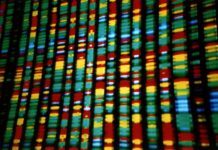 That means that out of 7,849 people with a diagnosis, more than 99.5% of them did not have the genetic pattern. So how does this get reported as a “genetic link” between these mental health diagnoses? This is a prime example of how statistics can create a result that is utterly meaningless. Those 32 people out of 7,849 are compared to the “healthy control” group—of whom 9 (out of 10,799) had the genetic pattern. When those ratios are compared, the result is “statistically significant,” meaning that it is unlikely that this tiny difference happened by chance. But that difference is meaningless if the number of people who share this pattern is so infinitesimally small. What clinical use could that tiny difference have? You could get tested for the “CNV at DOCK8” pattern. But if you have it, are you one of the 32 people in the “neurodevelopmental disorder” group, or one of the 9 people in the “healthy control” group? And, if you don’t have the CNV at DOCK8 pattern, what does that signify? Are you part of the 99.5% of people who don’t have that genetic makeup but have a “neurodevelopmental disorder?” Or, does this mean you don’t have a mental disorder? A test for this genetic variation would be totally useless. In that sentence, you can see the misleading framing of their conclusions. Implicit in their statement is the idea that these mental health diagnoses are “neurodevelopmental conditions”—a statement which is not supported by their evidence. Their study is just another in a long line of studies that actually fail to find any specific abnormality in people diagnosed with a mental disorder. So what purpose does this study serve? 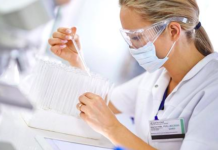 It’s important to note that the study was conducted by the Janssen-CHOP Neuropsychiatric Genomics Working Group, meaning that the authors received their funding and worked under the command of a pharmaceutical company with a vested interest in biological conceptions of mental disorders. Several of the authors are current and/or former employees of Janssen. Janssen is the maker of Concerta (branded as a “treatment” for ADHD), Haldol (an old-school neuroleptic tranquilizer branded as an “antipsychotic”), and Risperdal (a drug branded as an “atypical antipsychotic”). If Janssen can convince the public that mental disorders are biological illnesses, this will help it continue to sell its drugs. There are plenty of other concerns with this study. The researchers conducted tests on thousands of DNA patterns, for instance, which exponentially increases the possibility of errors. The more times you test, the more likely you are to find a result by chance. If you run a statistical test comparing people on thousands of variables, the likelihood is actually very high that you will find some differences just by chance, even if the two groups of people had no discernable differences. Indeed, testing for CNVs is itself an unreliable process. It would be incredibly rare for two people to have the same duplication or deletion in the same area. 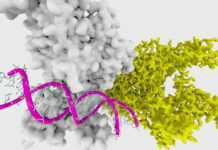 Even those ranked as “having” the CNV at DOCK8 probably had very different protein lengths that were duplicated. Also, the researchers combined five very different studies into this meta-analysis. In fact, because of differences in the way data was collected, and the inherent unreliability of the tests they used, they actually discarded 20% of their participants. One wonders what the results would have been had they included all the participants. But ultimately, the biggest concern is that even if their finding is “true,” it’s completely meaningless. It doesn’t tell us anything about these supposed “disorders” or ways of “identifying” or “treating” them. It is a telling example of using genetics jargon and statistical significance to mislead the public. the important thing is to keep an open mind.. I think the important question is whether the RESEARCHERS had an open mind doing their research. It appears pretty clear that they WANTED to find a correlation and worked hard to find one. If they had found that 80% of people with, say, and “ADHD” diagnosis had a particular variant, vs. 20% of the general population, it might get my attention. But they had to combine 5 DIFFERENT “disorders” together to get a less than .5% correlation! It literally means nothing when the VAST majority of those with these “disorders” did NOT have the gene pattern in question and a good portion of the “control group” did have the pattern. I’m open to any real data that challenges my observations to date, but this one certainly doesn’t challenge anything except for any shred of remaining confidence that the “scientists” doing this kind of research actually care about the truth. “Do the researchers have an open mind?” Good point Steve. Okay. Statistically speaking, is .5 % a wide enough crack to let anything through? There are so many ways in which the pharmaceutical companies are literally getting away with murder, should we allow another one here? This is not a rare incident of the scientific sounding chicanery, it’s actually pretty typical, meaning that that great break through it is claimed we are always on the verge of, could be at least another century or two off, optimistically speaking. I love art. But who wants Picasso trying to sculpt your brain into an exhibition for the gallery? There is some meaning in this gene study, though none of the reviewers openly caught what it was- that the psychiatric diagnostic system is flawed. Why are there five different diagnoses for one set of conditions? Doesn’t seem like diagnostic perfection to me. Why multiple diagnoses for one patient? Peter, thank you for this excellent critical review! Seriously, great work, I’d love to see more posts like this at MIA. Your analysis highlights the absurdity of what passes for the highest level of genetic research into “mental disorders.” It seems clear the entire genetic research enterprise as it relates to “mental disorders” is incapable of benefitting society or anyone in it other than the scientists who receive resources (jobs, grants, prestige) for doing this work. It amazes me that the scientific community takes this stuff seriously anymore. $$$$ covers a multitude of scientific sins. To be clear — any “study” of “mental disease” is inherently unscientific from the start, as minds are intangible and incapable of being “diseased” in any but a metaphorical sense. Watever “conclusions” are reached are secondary and largely irrelevant. Oldhead, this is the most important point of all. The entire enterprise is based on the false premise that DSM diagnoses are medical diseases. Most people who work in this enterprise are incapable of questioning this premise or viewing psychological issues through an alternative lens. To them, there is simply nothing else they could be but diseases. No amount of fruitless scientific studies, or prolonged failure to develop more effective “treatments,” or wasted billions of taxpayer dollars, or worsening societal outcomes, is capable of giving rise to the thought that the entire paradigm might be based on a false premise. Excuses show up and protect the belief system, such as “we don’t have the scientific tools yet to find the causes we know exist,” and “mental disorders like schizophrenia are probably many different diseases with different causes.” In this way, the paradigm is self-perpetuating. Its failure to succeed is taken as evidence that it needs further resources in order to succeed. Pretty much it in a nutshell. The whole unchallenged premise is that there is a “thing” which, even if it is not really “mental illness,” is nonetheless a categorizable and definable something — rather than accepting that people have different stories, and express the uniqueness of their existence in ways that may seem similar to others on the surface but have literally infinite origins. While we’re on the subject, do you have any thoughts on the concept of “neuropsychiatry” — does it imply simply psychological support for people with brain issues, or something more pretentious? Nowhere else to do a neater segue so — without diverting the whole discussion — do people have any relevant thoughts about Mariah Carey’s public “rebirth” as a confirmed sufferer of bipolar disorder? Sounds a lot like Patty Duke’s story. My mom was all excited and texted me the story. I guess she thought I would find a famous singer coming out as hopelessly insane inspirational. Weird how people think that way. The poet Natalie Goldberg is leery of social sciences because they box human beings into neat categories detracting from individuality. The “problem” with “Schizophrenia” is that standard drug treatments for “schizophrenia” are disabling and this disability is very expensive. There ARE alternative, inexpensive non drug treatments available that don’t disable (or Kill) – and that work. Withdrawal from standard drug treatment “suitable” for “Schizophrenia” is likely to result in Severe and Disabling Anxiety. Severe Anxiety can be treated psychologically in the same way as normal anxiety can be. Tolerance to Severe Anxiety can be developed (with help), through a process of gradual exposure. For me, once I could come off the “medications” successfully I was no longer disabled, and this meant that I could return to normal life. And if there WERE some actual physiological problem in some small proportion of people with a DSM “diagnosis,” it would be completely obscured by the vast majority of people in the category being completely healthy. The DSM is a huge deterrent to any real research, and I don’t think that’s by accident. Brett Deacon, if instead of calling them diagnoses they referred to them as negative behavioral patterns it might help people. And they would not be hopeless. Of course accepting offers of help would be strictly voluntary. We have the right to make bad life choices and be unhappy as adults. Really. Not sure I like “negative” behavior pattern, because it still leaves room for others to decide what is “negative”. Struggling to come up with something better, though. Maybe it’s better not to call them anything except “what the client wants to work on.” Categorization of behavior patterns into “good” and “bad” may just inevitably feed into authoritarianism rather than empowerment. Good point. Psychiatrists want to be seen as doctors of the body, using pills and surgery like electroshock. Yet almost all of the “diseases” they treat (excluding TBI and a few other real brain problems) are perceived as moral failings by our society. Clergy are more honest about their role. And they can’t legally force you to see them or attend their institutions nowadays. The current state of Psychiatry reminds me of Samuel Butler’s Erewhon. Shrinks are sort of like the straighteners whom people regularly see to help them become better behaved. I’m glad that at least oldhead, Deacon, and a few others get it. Meanwhile, thanks to a large government grant, I’ve been conducting some very important scientific research on the Easter bunny and the Tooth-Fairy. Unfortunately, we just don’t have the technology to accurately measure the genetic makeup and the metabolic rates of these amazing creatures. Thus, I’m sorry to report that as yet our studies remain inconclusive. I am happy to report, however, that Santa Claus’s brain scans show that frequent movement up and down chimneys produces an increase of serotonin and dopamine levels, particularly in the hippocampus and cortex. Therefore, in the not too distant future I feel confident that we will be able to prove that Santa Claus’s schizophrenia will be curable thanks to a new milk and cookie flavored psychotropic drug. Shards of unicorn horn are a valid modality of treatment too. Also pixie dust and mermaids’ scales. I’d LOVE to hear how identifying a gene variation found in 0.5% of these “disorders” can lead to the development of effective “treatments” for them. Such claims frequently appear in articles like this, always without any explanation as to how this might actually happen. Decades of genetic research has got us basically nowhere in identifying causes, but even if causal genes were found, this wouldn’t mean we could successfully treat them. For many conditions (Huntington’s disease), longstanding knowledge of a genetic cause has not produced curative treatment. I hope I’m not too off message with this comment. I was told I could come off “neuroleptic long acting injection” by my Psychiatrist in October of 1983 – but I didn’t last long. I ended up in hospital in December of 1983. I got talking to a Psychologist during this hospital in stay and he reassured me that “everyone” could make full recovery without medication. So after another 3 hospital in stays a suicide attempt and a near suicide attempt – I came off my “Long Acting Injection ” and my “Disability Check” in 1984 – and have remained well since. is all neuroscience research unscientific…. No and no. Just pseudo scientific research to support a fake science. The flaw is that they created the categories first and then tried to make the neurology fit. The should be testing for neurological problems on a case by case basis until they see some pattern, and then group people together based on their actual, observable neurological issues (assuming they are not simply a common variant and not a real biological problem at all), and create and apply treatments ONLY to those circumstances where actual neurological problems have been identified, and ONLY if they are shown to improve the problem. Examples include Parkinson’s, epilepsy, Multiple Sclerosis, etc. A bunch of nonsense. But without the “bipolar” label there would be no link between the spouse who behaved badly and people like me with consciences. And shrinks encourage this bigotry since it helps their professional authority. I also am supposed to be “Borderline” but am nothing at all like the “typical” Marilyn Monroe character a “borderline” is supposed to be. Moral judgments (often unfounded) and stereotypes and self-fulfilling prophecies. Glorified insults passing as a science. biological research should be encouraged…. As long as the results are accurately reported and not skewed to support the researchers’ personal agenda. Most people on the street believe the “schizo gene” was found decades ago and would be surprised at this study for that reason. I want to know how it got through the peer review process to get published? I am now wondering how many other articles the journal publishes that are as flimsy as this one? That depends. How many articles are written by psychiatrists and their flunkies? Peter, Your work here is so amazing. This post should be up on MIA as a permanent page right up next to “The Case Against Antipsychotics. And I ask why on earth you’re going into “counseling” (as I see in your bio) when we need someone like you to fight these folks at the level of the courts or the FDA. Get your voice out there in mainstream media. Are we really born disordered? Seriously? Okay, it’s “latent” and it grows and festers inside us, and then, suddenly, out it comes at some opportune time, like, say, around late adolescence or while in college. Like it was a seed already inside us, waiting to explode and wreak havoc. It does sound handy, this fake disease model, but we know it is false. No disease. Then what? Oh, these adolescent conditions which are truly a nuisance, such as, perhaps, a bit too much partying, are now suddenly deemed permanent diseases. Bipolar for life. Okay…But it’s my understanding that many personality traits change over one’s lifetime. None are set in stone. I read somewhere here in MIA that people’s personalities are even totally unrecognizable decades later. How many politicians and people in high places are now rather embarrassed over how they behaved in their younger years, and would not want the public to see their adolescent escapades as permanent character defects? Held accountable for crimes? Of course. But just playing your stereo up loud….big deal. Many people I know personally have gone through changes over the years. I knew people who acted reckless and now are not. I knew some who were shy and now are much less shy. I know a few that were predicted would never marry, but then married happily, are quite outgoing and had many children. “I didn’t inhale,” said the the President. Sadly, our overly critical public eye actually was going to judge whether or not Clinton smoked pot when he was a kid. Let the man without sin throw the first stone. I remember how my college dorm smelled back in the 1970’s. Like…um…incense, right? And now many states are legalizing it….. This is incorrect- almost every behavior/feeling can be linked to genes, eg political beliefs, musical tastes, & so on. Wealth and poverty and almost everything else can be linked to genes. Having common genes can not be assumed to be the cause of the disliked behavior, it’s often genes that have nothing to do with the cultural/genetic links between genes and behavior.